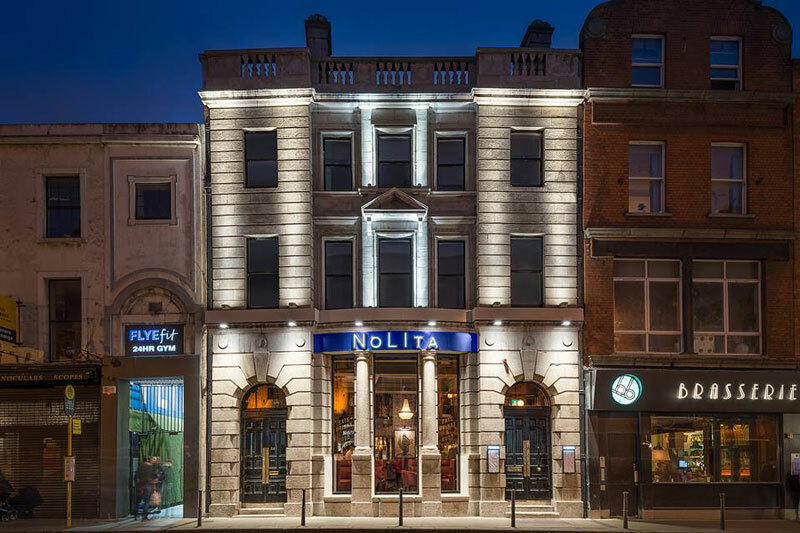 Located at 64 - 65 South Great Georges Street, NoLita brings with it a new experience to Dublin combining excellent Italian Fare with a celebrated beverage programme, set in a decadent yet energetic environment. NoLita….. Where the classic Italian Eatery meets the New York Style Bar. With extensive menu options, hand-crafted cocktails and world-class entertainment NoLita is set to take you from lunch through to the late night without missing a beat. In the pursuit of good times? NoLita is the place to be…. Opening our doors seven days a week, It is the venue of choice to host your event! With a variety of spaces available for your local lunch with friends, a corporate function, a private dining experience, a team building activity or that special celebration.